Mouth Cancer Action Month is all about highlighting the importance of beating mouth cancer and why it is so dependent on diagnosing it at an early stage. If it is caught early, the chances of surviving mouth cancer are nine out of ten. Those odds are good, and that’s why early detection is so important. Sadly, far too many mouth cancers are not spotted early enough. 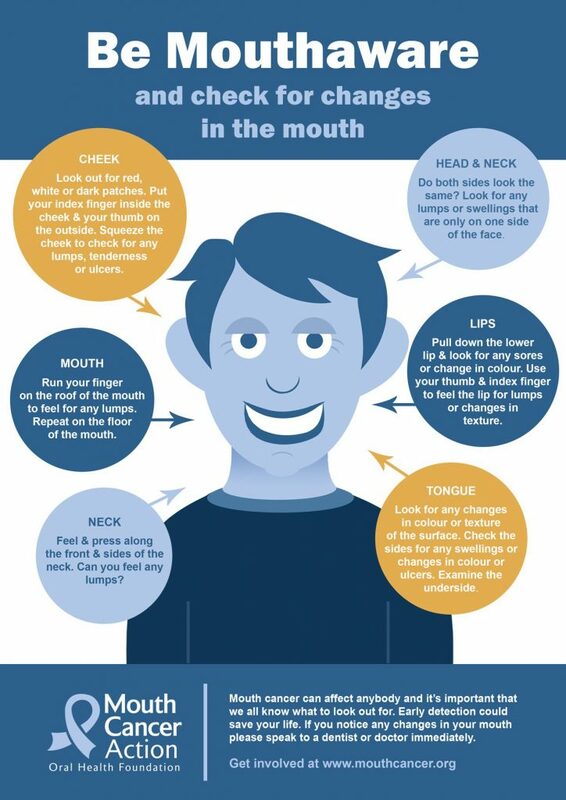 Mouth Cancer Action Month promotes the message ‘If in doubt, get checked out’. We encourage everybody to be mouth aware and pay more attention to what’s going on inside the mouth. Most importantly, if you notice anything out of the ordinary, it is essential that you tell your dentist immediately. Use your finger to pull out your cheek so that they can see inside. Look for red, white or dark patches. Then place your index finger inside your cheek, with your opposing thumb on the outside gently squeeze and roll the cheek to check for any lumps, tenderness or ulcers, repeat this action on the other cheek. Examine your tongue, looking at the surface for any changes in colour or texture. Stick out your tongue or move it from one side to another, again looking for any swelling, change in colour or ulcers. Finally, take a look at the underside of the tongue by placing the tip of your tongue on the roof of your mouth. 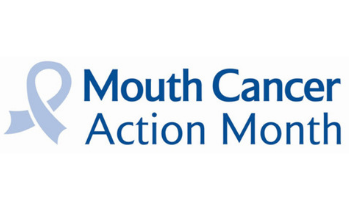 For more information, please click here to visit the mouth cancer action month’s official website….